Will you proclaim by word and example the Good News of God in Christ? I will, with God’s help. Will you seek and serve Christ in all persons, loving your neighbor as yourself? I will, with God’s help. Will you strive for justice and peace among all people, and respect the dignity of every human being? I will, with God’s help. -From The Baptismal Covenant, Book of Common Prayer, page 305. Outreach serves a variety of groups – from local to worldwide ministries. • Door-to-Door Monthly Dinners are prepared by members of the church and delivered to shut-ins and needy persons in the community on the second Sunday of the month. • Food collection takes place on the first Sunday of each month to support the local Food Pantry. We use a monthly theme for the food collection and insert an announcement in the previous Sunday’s service bulletin and the Vine. • Free Community Meal. On the first Tuesday of every month (5pm – 6:30pm), volunteers from St. Luke’s, as well as from organizations such as RSVP or Marietta Memorial Hospital, plan a menu, prepare the meal, and serve it to community residents. In concert with the Harvest of Hope, this event addresses a major focus of the Outreach Commission, i.e. the issue of hunger in our community. 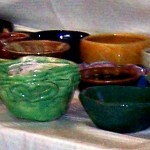 • Empty Bowls is a cooperative effort between St. Luke’s, Unitarian Universalist Church, and First Congregational Church that provides a soup-salad-dessert meal for hundreds of community citizens each March as a fundraiser for local food pantries. Local artisans craft beautifully unique ceramic and wooden bowls. • Crop Walk is a national effort that addresses the issue of hunger in one’s community. Participants, either individuals or groups, walk or run any distance of the five-mile course along the Muskingum River trail. They solicit sponsors who pledge financial support for the walkers; such funds are distributed to local food pantries. • Outreach Sunday occurs on the second Sunday of every month. The monies placed in the collection plate on that day are earmarked in a line item to the annual budget for the various efforts of the Outreach Commission. • Secret Santa is program in which parishioners serve as Secret Santas for needy children in our community. Donations of toys, clothes, and money are distributed to families through the Community Action Corporation of Washington-Morgan Counties in Ohio. • Outreach donates financial support for Episcopal Relief and Development and United Thank Offering – each of which generates funding for service to needy constituents. 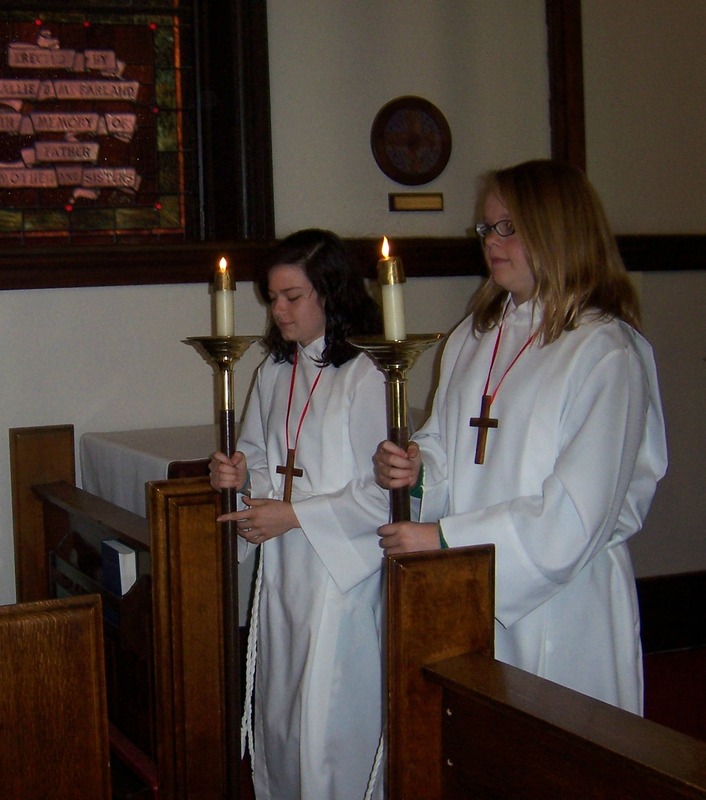 Several members of the parish serve as members of the Altar Guild. The Guild is responsible for keeping the vestments, hangings, linens, etc. clean and in good repair. These persons also set up the vessels for worship throughout the year. Members serve for two-week cycles throughout the year. New members are always welcome. Singers are welcome to join the choir. These members make special musical offerings from time to time in our worship. 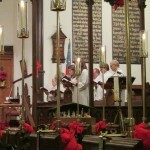 They are always present to support congregational singing of hymns, songs, and service music. Some parishioners assist in worship by reading aloud the appointed lessons from Scripture. Public reading of Scripture requires careful preparation, good diction, and a good public presence. Other members greet our newcomers and members each Sunday. They are always available to give directions, to assist worshipers, and to help us all to feel at home. Various adults and young people serve as assistants at the altar. Some carry the processional Cross; others help the presider with vessels and linens. 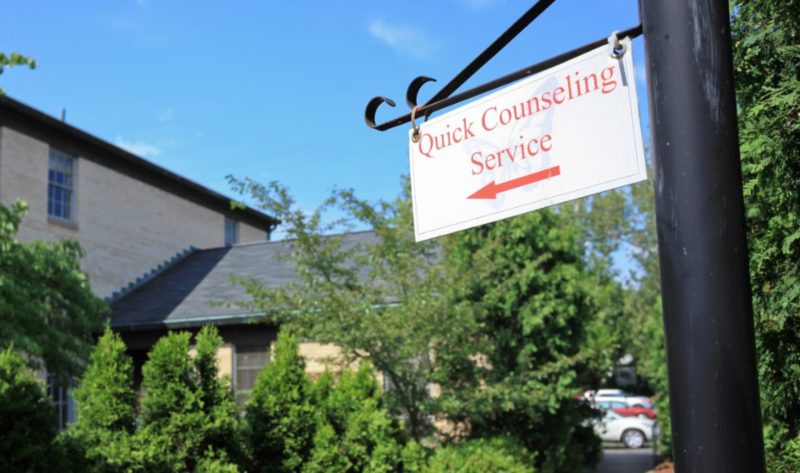 Their ministry helps the services to proceed smoothly. Those who dispense the cup at the Eucharist are members who have trained for this ministry. 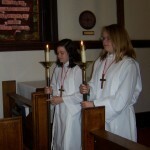 They assist the Presider in administering Holy Communion each Sunday. Trained ministers are available to take Communion from the altar on Sundays to those who are unable to attend public worship. 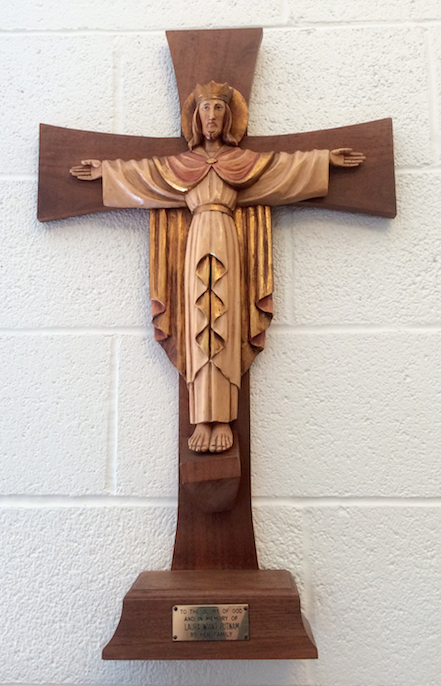 Those who would like to receive at home should contact the parish office to make arrangements. Some of our members are trained to lead public worship. 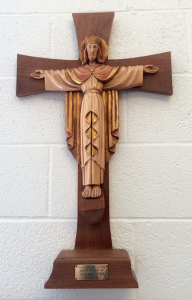 From time to time they will lead the parish in the Daily Offices of Morning or Evening Prayer or Compline. On some occasions, in the absence of a Priest, they may lead the Office as the Sunday Worship. 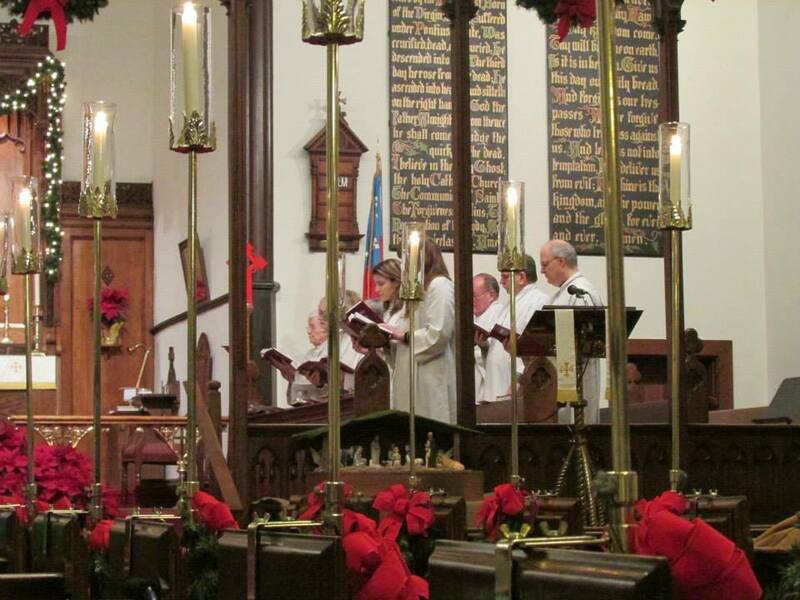 St. Luke’s Episcopal Church is a wonderful place to come together in worship and fellowship. 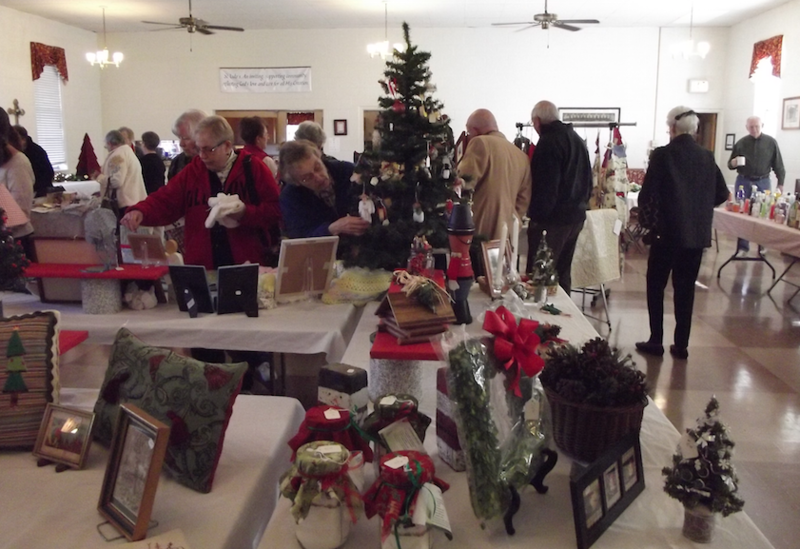 Our main fellowship event occurs in the parish hall each week. After our Sunday morning worship service we enjoy coffee and snacks. But more importantly, we enjoy talking to each other and sharing in each other’s joys and troubles. Approximately four times a year, we have a Get Together Night (GTN). Usually we share a potluck meal and enjoy a movie on the “big-screen” in the parish hall. A popular potluck for GTN is a taco bar. Of course, it wouldn’t be a movie without popcorn! We have also held a “Souper Bowl” contest during Super Bowl weekend. Contestants make a pot of their favorite soup. After voting, the winner receives the Golden Soup Ladle! 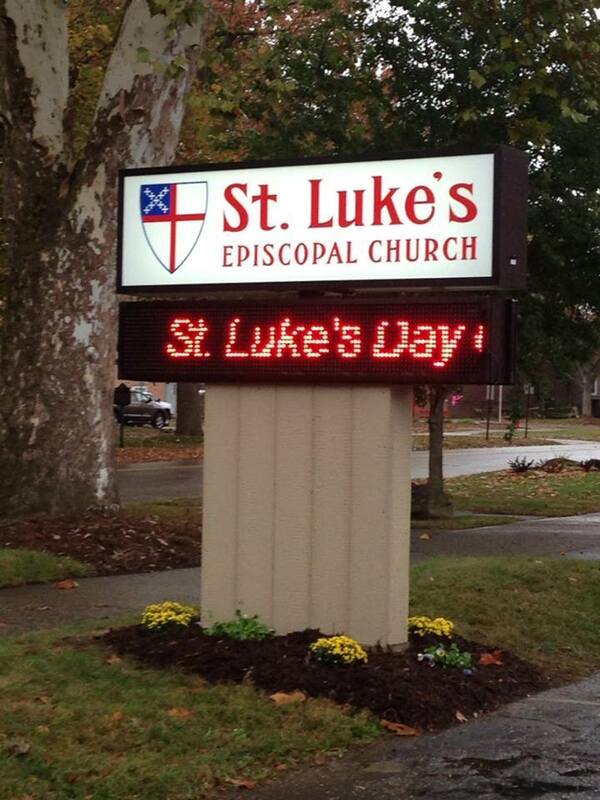 In the fall, we celebrate St. Luke’s Day on the Sunday closest to our namesake’s feast day of October 18th. Our fellowship committee arranges for us to be served with a catered meal. Another event in the fall is our Sunday School Kickoff. Last year we served a kid-friendly meal of macaroni and cheese, hotdogs, fruit, and popcorn. We arrange for face painting, a photo booth, and balloon animals. We all enjoy seeing our youth having a fun time. Our annual church picnic is held yearly at the beginning of summer. More recently, we have enjoyed the picnic in our beautiful Memorial Garden. We play outdoor games and grill hamburgers, hotdogs and veggie burgers. Everyone brings a covered dish to share. 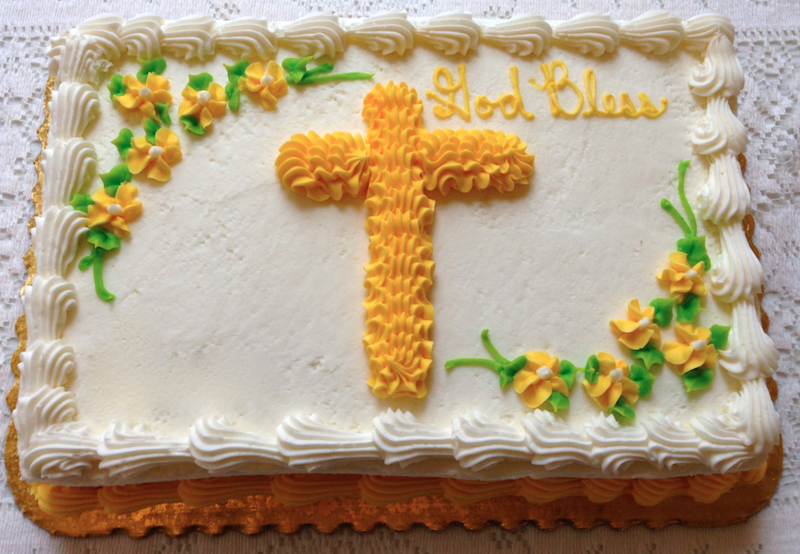 The Episcopal Church Women (ECW) meets monthly from September through June. 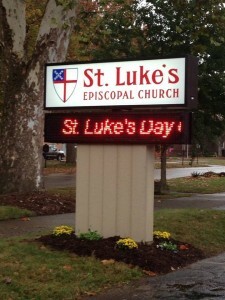 They organize the annual Rummage Sale held each August at St. Luke’s. They prepare crafts and foods for St. Luke’s Annual Holiday Bazaar held each November. They also meet periodically for dinner and social gatherings and to support the ministries of the parish.